Again I fail to continue writing on the GLUE Journeys as promised but jump into another hot topic: Innovation. Actually I do not really think that it is new knowledge, but for whatever reason it seems to be hot. i personally utilize the knowledge Everett Rogers has provided us in his Diffusion of Innovations. So why the hype around innovation? Following Rogers definition (innovation is "an idea, practice, or object that is perceived as new by an individual or other unit of adoption") and his model (the first 2.5% to adopt to an innovation are innovators) I wonder what makes it so interesting that everyone wants to be associated to innovation. (The funny thing is, even if all of us want to be innovative only the fastest 2.5% will be innovators). I believe part of it is tied closely to the success of Apple. Innovation is to me more a brand than something real. But given the fact that it is a real hype I give it also some focus. First of all in the GLUE Space I place Innovation into the GLUE Division Discovery. Due to the fact that it is so attractive to be innovative I now also observe some weird approaches, like using off-the-shelf-software not as intended but for something very different. In some cases that might be really innovative by bridging from one area of appliance to another, but in most cases this is just lack of common-sense advertised as out-of-the-box-thinking. Preaching for standards is a lost case against innovation evangelists. 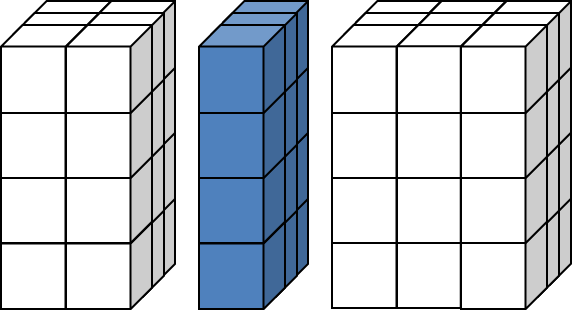 In my definition only one small area in this model is innovative and it is only one level on the solution evolution. All levels need to be supported by Enterprise Architecture and to make it even more complex the people who work in the different solutions must be taken into account. Any thoughts, comments? Feel free to contact me, I am happy to share knowledge, ideas, thoughts. Thanks for you blog post. I find it interesting that you think that innovation isn't a part of a framework. 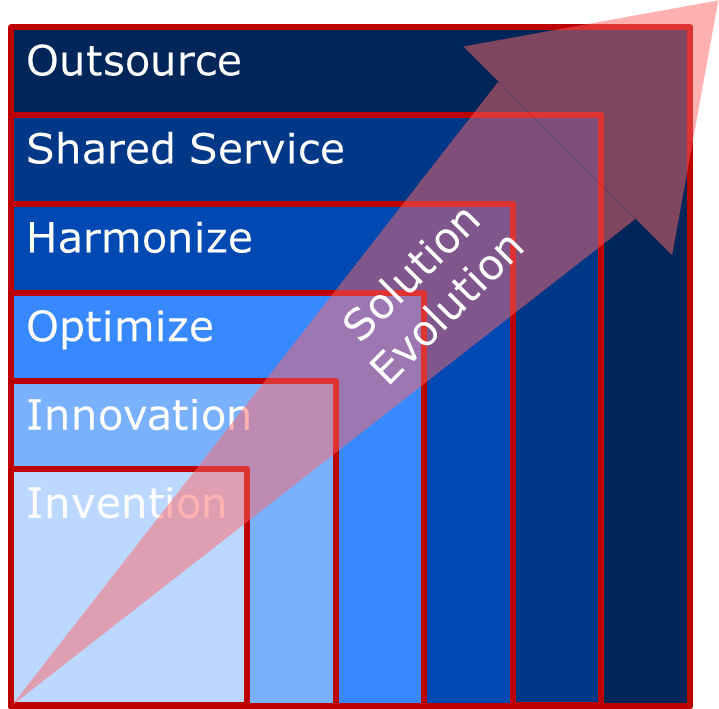 In my opinion that should be one of the corner stones of any Enterprise Architecture framework since it is vital for any form of development (business, technical and organizational) to invent and adapt innovation coherently in order to avoid unnecessary complexity and hopefully achieve some form of effectiveness and efficiency in the organization’s operating model. It confuses me that you place innovation as a thing in the middle of the framework (or building blocks pictured on your GLUE illustration), since I think it would be a part of all the three parts of the framework. Somehow I start thinking on Anupindi & Coady’s IDEA-framework when I read your blog post. Have you read their book “Enterprise Architecture Turnaround”? I think you would be able be inspired by reading it. thanks again for commenting. Sorry for not making my point clear enough. Puts more pressure on me writing about the GLUE Journeys. 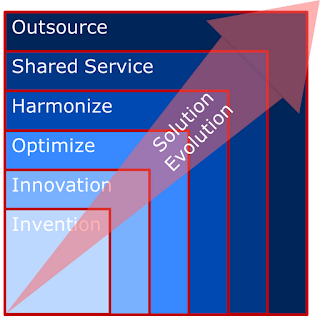 To me innovation is part of the GLUE Space as I tried to express in the Solution Evolution and also in the Divisions. 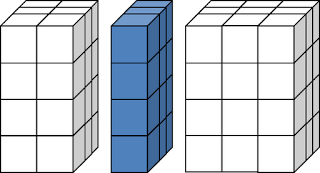 While Destination sets out the target (To-Be) and Defence protects the current (As-Is) the last Division Discovery is transforming tbe whole from As-Is to To-Be. And Innovation is one small step in that transformation, actually the first one after invention. So I think as you write here that innovation indeed is core and has its right place, but I stick more to the original Rogers approach to innovation than to the todays innovation spamming. By just shortly browsing the net for IDEA framework and spending only a couple of minutes I personally like the concept of "Past, Current and Future" in the IDEA framework, but reading some of the other messages on the website it seems to be to much of a silver bullet approach marketing wise to really dig deep at the moment. Tough to judge in short though, because there might be rich content inside.